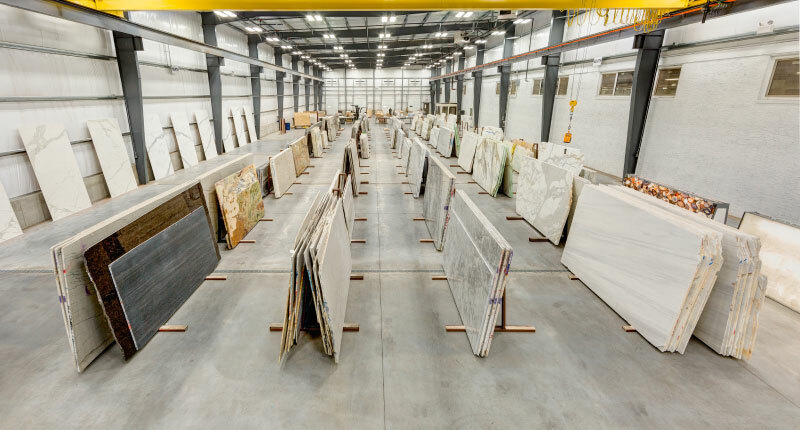 I was standing in the middle of a granite warehouse amid 42,000 square feet of stone slabs. 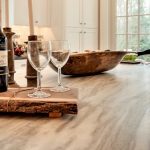 My kitchen designer sent me here with just one piece of advice: see what speaks to you. I was overwhelmed. Until I saw one particular slab. Then I was smitten. Before I stepped into that stone yard, I had no idea granite slabs could vary so greatly, that dynamic forces of nature could create such fantastic colors out of rock and mineral. There were slabs with subtle glints of light, and slabs with full-on sparkle. Some streaky, others wavy and wild. They started to appear to me like big, beautiful canvases you’d expect to see on a wall, rather than on a countertop. Their crystallization formed impossibly beautiful patterns reminiscent of impressionism, expressionism, some even luminous fields of abstract color blocks. Other patterns looked like aerial photography of gauzy desert landscapes or bird’s-eye-views of rushing rivers. Each slab had movement and volume. I slowed down and took my time to enjoy the selection process. Even the names were enchanting: Persa Pearl, Mon Cheri, Crema Bordeaux, Kashmir Gold. On a practical level, I’ve always been drawn to the high performance, low maintenance properties of granite. It’s sturdy and strong. Aesthetically, I love its timeless elegance. Granite would fit as seamlessly into my 1925 Dutch Colonial as it would into a contemporary townhouse. I also love the uniqueness. 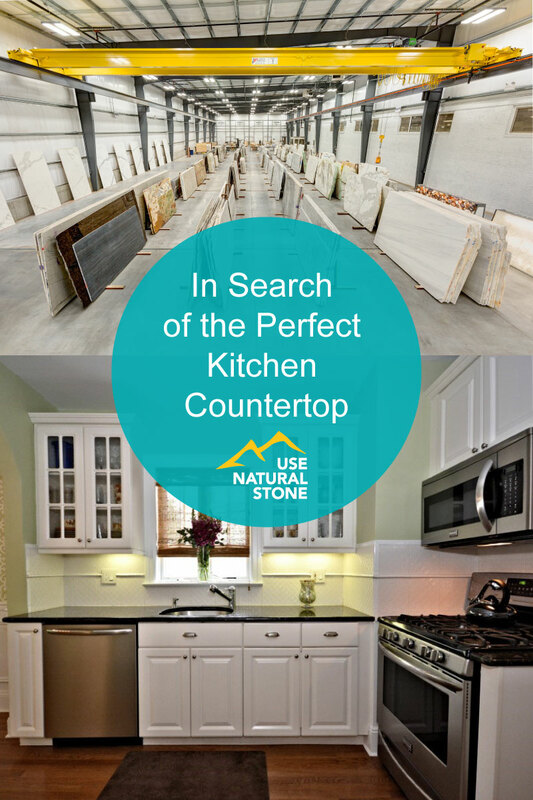 Even though granite is the most popular natural stone countertop material, there’s nothing cookie-cutter about it. My neighbor’s granite countertops would never look like my countertops. The idea that I could choose a rock that would be mine alone, not an off-the-shelf product, was compelling. Navigating my way around nearly 100 choices was would be worth it. 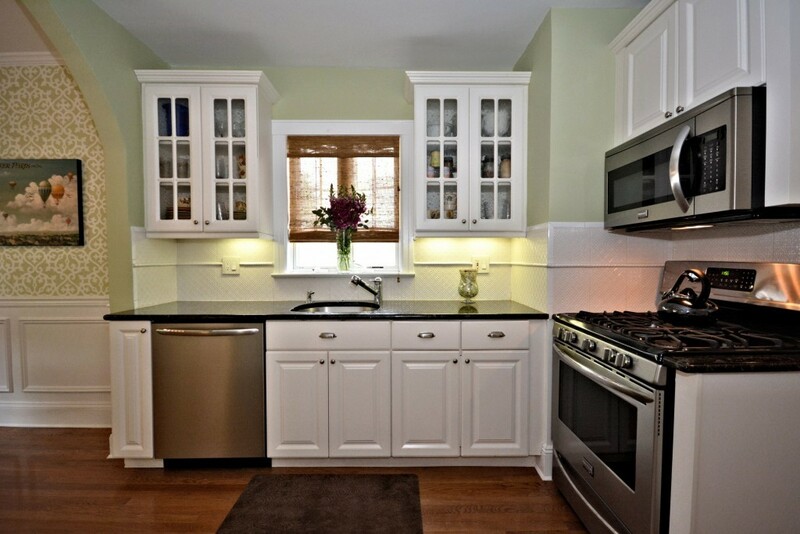 The fact is that my countertops would be the statement-making linchpin of the entire kitchen redesign. Selecting the slab is step number one. Next is deciding on an edging profile. Square, bullnose, rounded, beveled and ogee were on the short list of choices. From there, a fabricator would create a template of my kitchen’s countertops, dimensions, angles and openings. The granite slab is “fabbed” based on the template. Granite warehouses like this one are the midpoint between quarry and fabricator, between raw ore and installed countertop. That these massive 10-foot high slabs may have originated in a 20-ton block plucked out of the earth is astonishing. 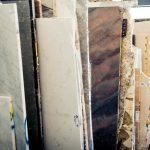 There are no hard-and-fast rules in selecting granite. Some opt for contrast between cabinets and countertops, going with a design that has lighter colors to set off darker cabinets and vice versa. Others prefer a modern monochromatic look. It’s not always enough to simply pick out a particular slab. 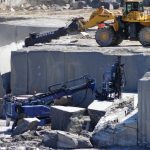 With granite that has a lot of movement, vein patterns, and color variations, it’s also important to identify the section of the slab so the best part doesn’t wind up as a left-over cutting on the fabricator’s shop floor. Another consideration is how long you plan to be in the home. “Are you going to be selling your house within the next five years or is it your dream house you’re going to be in 20 years?” says Young. The longer the time frame, the less resale value plays into the decision. But in any case, you really want to love it. “It’s not like a paint color you can easily change,” she says. In the end I opted for symmetry and uniformity to complement my white cabinets, settling on a blackish-green granite with the exotic name of Ubatuba and a bullnose edging. Flecks of golds and browns seem to appear and disappear in the changing light, an extraordinary detail millions of years in the making.